What do we know of B.C. Roy, the doctor honoured every year on July 1, National Doctors' Day? What do we know of B.C. Roy, the doctor honoured every year on July 1, National Doctors’ Day – beyond his having received the Bharat Ratna and having been the chief minister of West Bengal for several years? 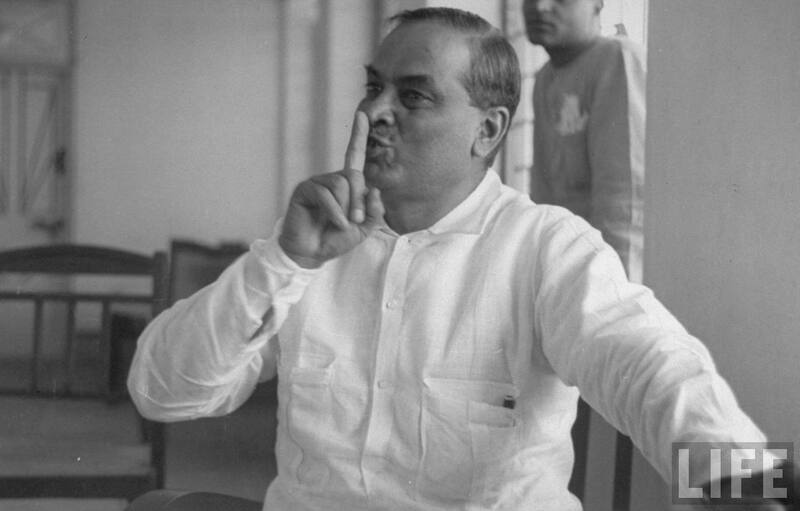 Bidhan Chandra Roy was born in 1882. He graduated with an MD from Calcutta University, then did exceptionally well in England where he passed both the exams of both the Member of the Royal College of Physicians (MRCP) and Fellow of the Royal College of Surgeons (FRCS). Then, on returning to India, he participated in the independence movement and Bengal politics, simultaneously becoming one of the personal physicians of M.K. Gandhi. After 1947, he was West Bengal’s chief minister for fourteen years. All the while, he regularly found time for medical practice and seeing patients. He is extremely well-respected in Bengali politics and society even today, and besides several colleges and localities, the new medical centre at IIT Kharagpur is named after him. He passed away in 1962. As is true with most giant personalities, while such conventional tidbits are indeed awe-inspiring, it is the little nuggets that can be more interesting. On Doctors’ Day 2016, let us look at some such aspects of B.C. Roy’s life. Trained at Barts, of ‘Sherlock Holmes’ fame – Not long before Srinivasa Ramanujan started work at Cambridge University, Roy started training at another prestigious English institute, St. Bartholomew’s Hospital, London, in 1909. His official biography describes how the dean there was reluctant to admit him, and how Roy persevered for a month and a half, meeting the Dean almost 30 times, before the latter relented. Held multiple high-level posts – Roy held not only the post of chief minister but also the mayorship of Calcutta (he succeeded Subhas Chandra Bose in 1931), the vice-chancellorship of Calcutta University (1942-1944), the presidency of the Medical Council of India (1939) and the governorship of the United Provinces (now Uttar Pradesh), though it was Sarojini Naidu who worked both as CM and governor since Roy was abroad. When Kennedy hoped to be ‘as spry as Dr. Roy’ – When Roy was in Washington in 1961, he called on the then US President John F. Kennedy as “he wished to talk with the President about his ailing back”. The New York Times wrote that the president had expressed the hope that he would be as spry as Dr. Roy at his age (Kennedy was 44 and Roy was 79). Satyajit Ray and Pather Panchali – Satyajit Ray had to struggle to fund his film Pather Panchali, later on a world-famous venture. After several dead-ends, his mother finally came to his rescue. Through an acquaintance of hers, CM Roy was apprised of the project and he agreed to provide governmental funding. In fact, after the film was made, Roy even arranged a special screening for Nehru, something which helped quell the opposition the film was facing from prominent officials and personalities (they thought, highly prescient of current controversies, that the film “showed India in bad light”). An experience with ‘the American caste system’ – In July 1947, while in the USA, Roy was refused service in a restaurant in Decatur, Illinois. According to a New York Times report, when Roy and five other accompanying men sat at a table, the restaurant operator instructed the waitress to tell them that “she didn’t think she would be able to serve them, but would be glad to fix food for them to take out”. Upon hearing this, the men got up and left. Talking to reporters, Roy equated their treatment to social discrimination back in India, calling it ‘an example of the American caste system’. His tall, handsome figure, clad in flowing robes of homespun cotton with a white Gandhi cap on his head, will be dearly missed in India. Kiran Kumbhar is a physician and health policy graduate engaged in public health awareness through writing.